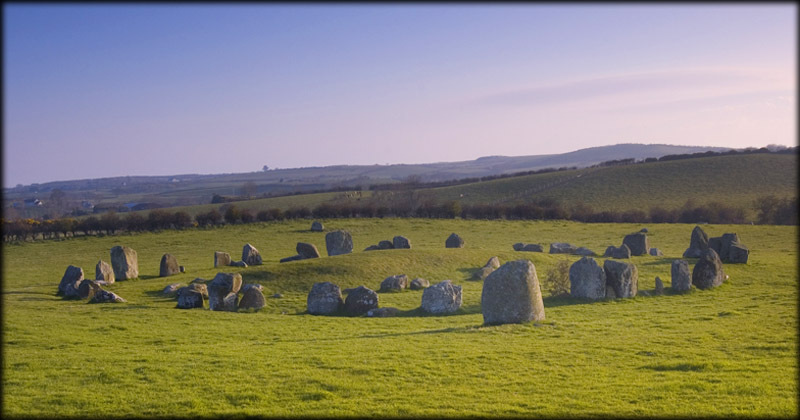 The stone circle at Ballynoe is a wonderful megalithic site, which may date back as far as 3000 BCE. The site certainly lives up to all expectations. 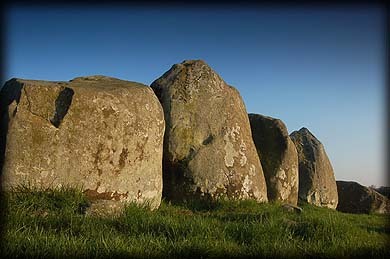 Burl describes Ballynoe as one of the great rings of Western Europe and suggests it was modeled on the great circle at Swinside in Cumbria which is on exactly the same latitude. 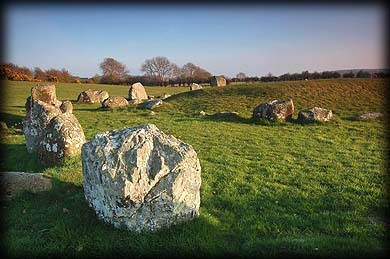 The circle consists of over fifty stones and originally may have had up to seventy stones. Elliptical in shape the circle is up to 33 metres wide, and has an entrance at the WSW with two large portal stones outside the ring. At a later date a large long mound was constructed inside the circle and at some stage cists were then built into the mound. There are several other stones also lying about the circle. I thoroughly enjoyed my visit to Ballynoe circle and will definitely be back. Access to the circle is along a magical old sunken track way, pictured below. It was a pure joy to walk this track and finally reach Ballynoe Stone circle, which is situated in a very open space. I strongly recommend this site, the only negative is that it was quite difficult to show through photography how wonderful this site really is. Situated: From Down Cathedral take the B176 South and then at the crossroads turn right onto the Ballynoe road. Drive along for about 2K and straight through at the next crossroads, the track is on your right about 200 metres after the crossroads. Try and find a safe parking spot which may be difficult, depending on the amount of visitors. The site is well sign-posted. Discovery Map 21: J 4804 4037. Last visit Apr 2008.